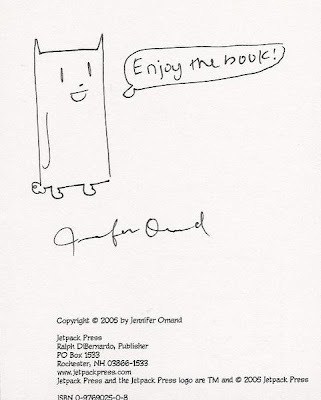 Squarecat, the, well, square cat alter ego of cartoonist Jennifer Omand, who does an autobio web strip called, you guessed it, Squarecat Comics. This was sketched on the inside of the Squarecat Comics Vol. 1 collection and acquired in person at the first (and last) Wizard World Boston in 2005.